The new Library at Stanmore. A modern gallery space to welcome visitors and exhibit local art. In 2015, Harrow Council set out to transform Stanmore library into a sustainable 21st century space. 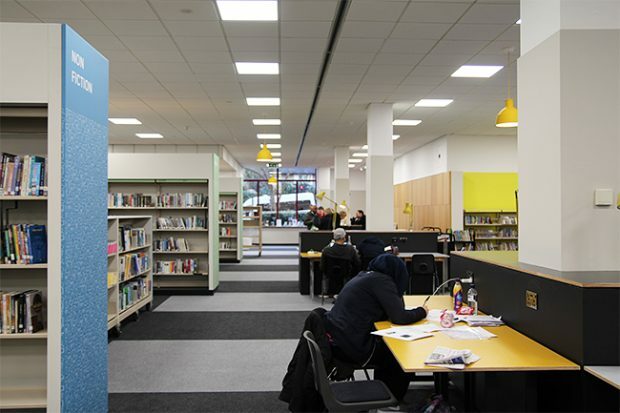 This work was part of the Council’s wider programme to modernise their libraries with a new and consistent branding, enabling new services and attracting new customers. Stanmore library was popular with young families and older populations, but struggled to attract a younger 18-35 year old audience. The space also felt cluttered, gloomy and dated. The community desired a fresh community space that was more than just a place to borrow books. Stanmore library before the rebrand and refurbishment. Photo credit: CarverHaggard. 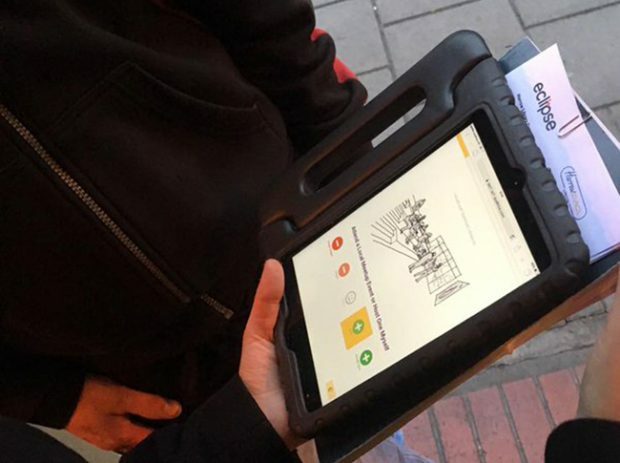 Over four weeks, Eclipse Experience (Eclipse) worked with Harrow Council to deliver user-centred public engagement. The engagement work focused on identifying new and improved uses of the library. Uses that could attract 18 to 35-year-old non-users and increase visits from current users. The team developed an initial set of 10 ideas, drawing on innovations from libraries across the globe and with input from the Council and library staff. The ideas ranged from Relax and Have a Coffee to Borrow More than Books and Work and Study Somewhere Quiet. The team then took sketches of each idea on iPads to the library. Current users and library staff expressed how likely they were to engage in each activity and suggested other ideas. Eclipse followed a similar approach with non-users, but spoke to them in places where they currently engaged in activities related to these ideas, for example, local cafes and Stanmore College. Evaluating ideas with a non-user outside a local cafe. Photo credit: Eclipse Experience, sketches by Fleet Architects Ltd. The team brought together staff, users and non-users in the library to explore how these Idea Groups could work in the existing space. People built out spaces for these activities on model floorplans. Eclipse also explored how willing people were to pay for services related to each idea. This exercise uncovered both design tensions - such as providing both a lively space for kids to play and a quiet place for others to read and work - and service opportunities - such as renting out private meeting spaces. It also highlighted gaps in the current space like few power sockets and uncomfortable seating for working and studying. 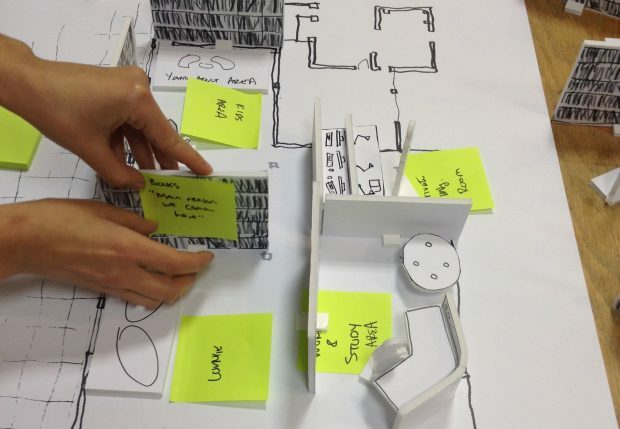 Exploring future use of the space through a model floorplan. Photo credit: Eclipse Experience, model floorplan by Fleet Architects Ltd. 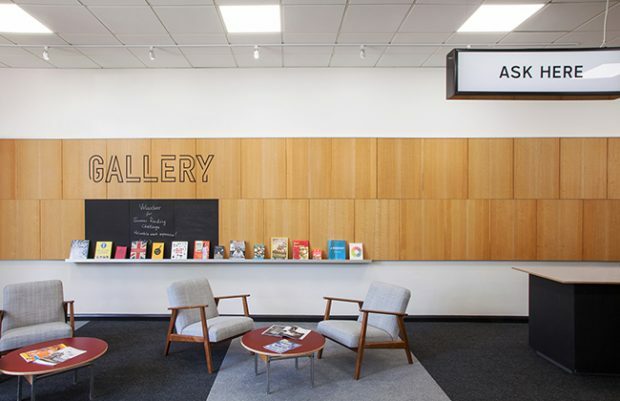 Working with a limited budget, the team added small areas of colourful signage and new lighting, and re-used existing materials and equipment; enclosing and repainting old shelves to create the book rooms, adding industrial plywood tops to existing tables, and adapting old oak-veneered shelf tops to create the Gallery wall panelling. Updated decor, signage and a new studio space to create, learn and meet. Photo credit: Max Creasy. The Library at Stanmore opened to the public in April 2016. In the first six months, there was a 15% increase in new members. 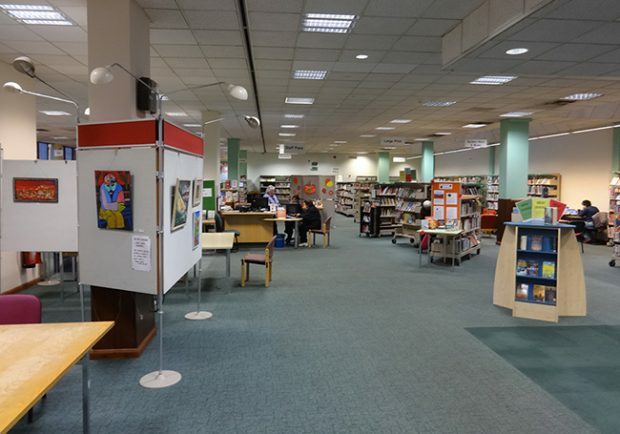 There were 812 new members (eg those who joined the Library at Stanmore) in the period April to September 2015 compared to 935 new members in the same period in 2016.This work has also informed the refurbishments of other local libraries, such as the Kenton library. Residents in the updated library space and study areas. Photo credit: Eclipse Experience. “What a fantastic transformation! A year ago you would have seen a library that was worn out and in need of an upgrade. 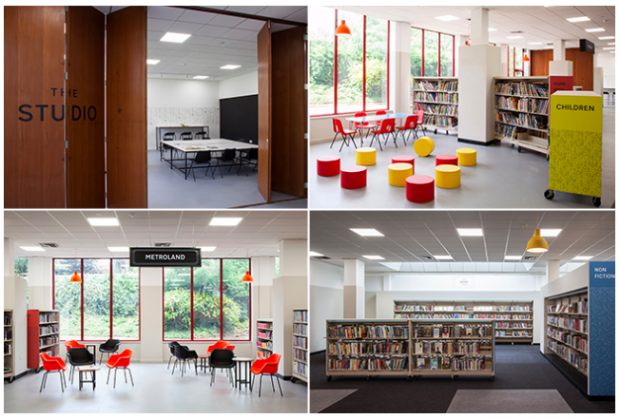 Stanmore Library is now a bright and attractive place to relax, learn, work and study.” Councillor Sue Anderson, portfolio holder for community, culture and resident engagement at Harrow Council, from the library’s opening ceremony. "Congratulations for providing [an] excellent library for the residents of Stanmore. We support your effort." "A great new setting! Libraries are not dead! Great to see and really swiftly done." "A great job done, a lovely place to come." Community feedback from the library’s comment book. You can see the full public engagement report here. For more details about the project you can email Eclipse or CarverHaggard directly. Thank you for this article. It's always good to hear about positive things happening in public libraries. - What was the cost of the refurbishment? - What was the impact on overall usage (visitors/issues) compared to other similar libraries? We need this information in order to make a judgement and whether the approach can work for us. Thanks very much again and look forward to see the figures. The refurbishment cost £150k of capital funding. There has been a 14% increase in visits in the period April to December 2016 compared to the same period in 2013-14, and a 3% increase in visits compared to 2014-15. It is not possible to give an accurate comparison with 2015-16 as there was a significant increase in visits to the remaining 6 libraries following the closure of 4 libraries in June 2015 as borrowers returned items to the remaining libraries. As has been the national trend there has been a decrease in stock issues, with a significant decrease in Harrow’s stock budget over the last 4 years being a contributing factor. There has, however, been a significant increase in the use of e-books over the last 12 months. The number of public computer sessions during April to December 2016 compared to 2015 has increased by 14%, and Wi-Fi sessions during the period July to December 2016 have increased by 62% compared to the same period in 2015. If you have any other questions, please feel free to contact Eclipse (via the link in the article). Thank you! It looks very empty - not many books -- lots of cheap carpet - why would anyone think this is attractive or useful ?